As technology has advanced over the past decade, the number of freelance and remote office professionals has increased dramatically. With only an internet connection, employees can work virtually anywhere, and many companies are embracing the perceived benefits (including less money spent on office space) of allowing employees to work remote.However, among this trend, IBM announced a few weeks ago that they are recalling remote employees back to the office, reversing their previous position. They are the first major employer announcing this recall. So here we go. Is this the beginning of moving people back into the offices? Will we see an increase in demand for in-office employees? If they discover that employees become more productive, then yes. We know one thing for sure: This is a major shift for one of the world’s most iconic companies. Stay tuned as we watch this unfold. If you are considering moving employees back to the mothership or allowing them to work remotely, call me. We are working with clients every single day grappling with these issues. International Business Machines Corp. is giving thousands of its remote workers in the U.S. a choice this week: Abandon your home workspaces and relocate to a regional office—or leave the company. The changes comes as IBM copes with 20 consecutive quarters of falling revenue and rising shareholder ire over Chief Executive Ginni Rometty’s pay package. The company won’t say how many of its 380,000 employees are affected by the policy change, which so far has been rolled out to its Watson division, software development, digital marketing, and design—divisions that employ tens of thousands of workers. Yahoo Inc.’s decision to call telecommuters back to the office in 2013 set off a furor among employees and workplace experts. Yet more recent decisions at Bank of America Corp.and Aetna Inc. to greatly reduce telecommuting have elicited little outrage. Big Blue’s leaders want employees to work differently now, said Laurie Friedman, a company spokeswoman. The company has rebuilt design and digital marketing teams to quickly respond to real-time data and customer feedback, collaborations that happen more easily when teams work shoulder to shoulder, Ms. Friedman said, adding that the “vast majority” of IBM’s telecommuters have chosen to join their teams in person. For example, marketing employees were invited to move to offices in Atlanta, Austin, Boston, Raleigh, New York or San Francisco, or leave the company. Some were given the option to move to Chicago. Those unwilling to move were also given 90 days to seek another role within IBM. The changes have stunned longtime IBM employees like marketing manager Ron Favali. The 15-year company veteran has spent the past 12 years working from an office in his home outside Tampa, Fla., and considered himself a remote-work success story. His team uses IBM’s Sametime instant-messaging voice and video chat software to stay connected and on task, despite being scattered in three states. Working remotely came with career trade-offs, he said. “I was never going to be named vice president of marketing for anything, but I’m OK with that.” He has declined IBM’s offer to return to a company workspace, and will leave the company next month to start a marketing firm out of his home. Companies began offering generous remote work policies because they expected large savings in office and real-estate costs, said Jennifer Glass, a University of Texas professor who studies telecommuting and advises companies on remote-work strategies. Those savings haven’t materialized, Ms. Glass said, so workers are being called back to the office. Relocating offices or asking employees to move can sometimes be read as layoffs in disguise, since a certain percentage of workers won’t be able to relocate. 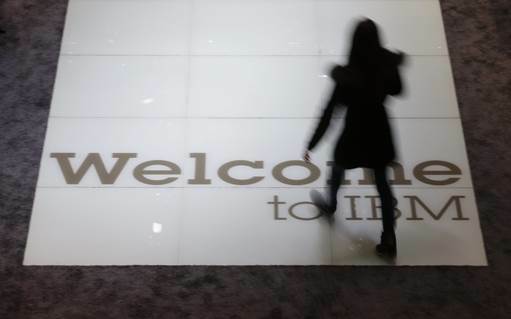 IBM says its co-location plan isn’t a cost-saving measure. Ms. Friedman noted that the employees who can’t join an in-person team can apply for one of more than 5,000 open jobs in the U.S. Working from the master bedroom in her Ogden Dunes, Ind., home, Penny Schlyer helped market IBM mobile software and services for companies reliant on workers who aren’t bound to a desk, such as retail employees, financial advisers or doctors. Her seven years telecommuting with IBM could have been plucked from one of her marketing campaigns: She has logged work hours from the sidelines of her sons’ sporting events and used Sametime to communicate with her colleagues. She was dismayed when IBM requested the 48-year-old mother of three move to the company’s New York City office. “The irony is definitely not lost there,” she said. She has found a new job leading product marketing for SA Ignite, a Chicago-based software company, but her office won’t change; she is still in the master bedroom.